This Chalet Hotel has a great combination of comfortable accommodation, spacious public areas and is located in the heart of Tignes-le-Lac, with scenic views across the lake. Built in traditional style, with attractive wood and stone features, it has a comfortable standard of accommodation and warm ambience within the communal areas. The ground floor is home to the generously sized dining room, from where a terrace offers fabulous views across the lake and towards Val Claret. All rooms offer en suite shower or bath, many with the bonus of a balcony looking over the lake and up towards the famous fingers and peaks at Val Claret. Sauna, steam bath & swimming pool. We update Chalet Hotel Rosset's details often, but facilities do change. e.g. some extras listed by the supplier as "free" or included might only be for the first time you use them, or for one time per party, then charged for further use. If any specific feature is essential to your holiday, make sure you ask us to confirm the details of it before you book your holiday. This package holiday to Chalet Hotel Rosset in Tignes, France departs Sunday 15th December 2019, for a 7 night stay on a "catered chalet" board basis. A local tourist tax (Taxe de Sejour or Kurtaxe) is levied by many councils in European ski resorts. It varies by standard and type of accommodation and is age dependent, so not everyone is charged. It's not included in the basic price of your holiday and is usually paid locally. For reference, the average charged in winter 15/16 was between 50p and £2 per person, per night. Tignes lift pass price last reported as €294 (adult 6 day). Ask for a quote when booking Chalet Hotel Rosset. Chalet Marilyn Tignes France, Gatwick to Chambéry 15th December. 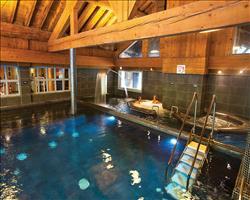 Chalet Les Arolles Tignes France, Gatwick to Chambéry 15th December. 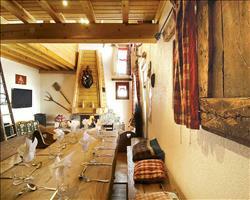 Chalet Arktic Tignes France, Gatwick to Chambéry 15th December. Chalet Hotel L'Ecrin Tignes France, Gatwick to Grenoble 15th December. Chalet Hotel Aigu... Tignes France, Gatwick to Grenoble 15th December. The chalet hotel was brilliant – staff were absolutely fantastic and I couldn’t fault the Rosset itself, it’s a lovely place. Staying here is good value for money and the food was brilliant. We stayed in most evenings as after the meal they’d have a quiz or something in the bar which was nice. Everything else was a disaster – flight out was delayed and the young, inexperienced resort reps assigned to look after us lied, saying they’d do something then not doing it. We booked and paid for equipment hire in advance via SNO without a problem, but when we got to the ski shop it turned out that the tour operator hadn’t processed the invoice correctly and we had a lot of trouble - our passports were taken, we were chased around the resort for payment when we’d already paid. 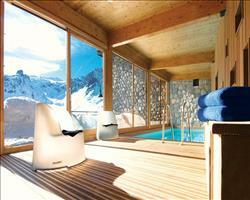 5/5 for the chalet experience and Tignes, but 0/5 for the reps and chalet supplier. It was good! To a certain extent you don’t spend a lot of time there, so as long as it’s clean and comfortable that’s the important thing! The staff were good. Location’s OK, I’ve stayed in places closer to the slopes and places further away. This one’s pretty central so I can’t fault it. The food was very good. Overall it worked well, I wouldn’t call it “fit for purpose” as it’s better than that, but it was everything we needed. "Central, lake views, great for groups"
The great central location and good choice of rooms make the Rosset a brilliant chalet for larger groups looking to experience the best that Tignes has to offer. Rooms with balconies enjoy breath-taking views over the lake, and larger rooms that are capable of sleeping up to four are a great option for families. Despite its size, the Rosset doesn’t lose any of the intimate ambience you’d expect from a chalet - you’ll be sure to make some new friends whilst unwinding in the communal areas at the end of a day on the slopes.